GMERS Recruitment 2018 Job alert both Fresher and Experienced can get GMERS recruitment 2018 updated on January 31, 2018, notification on recent GMERS recruitment 2018 openings across India. 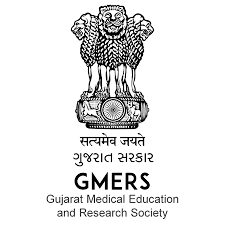 This is an exclusive page updated on 31.01.2018 for the latest recruitment notification gmersmcgv.ac.in from Gujarat Medical Education and Research Society GMERS 2018 it contains both active and recently expired Job openings and recruitment notification from GMERS 2018. Educational Qualification: FINAL MBBS / BDS/ P.G Mark Sheet and MS/MD/MDS/D.M./M.Ch/GMC/GDC Registration Certificate. Age Limit: Maximum age limit is 50 years for Professor,45 years for Associate Professor & 40 years for Assistant Professor. GMERS Selection Process: Selection will be based Interview. How to Apply GMERS Vacancy: Interested candidates may appear for Interview in prescribed application form along with original certificates & self-attested photocopies of all the relevant document at the time of Interview.